Hi there! 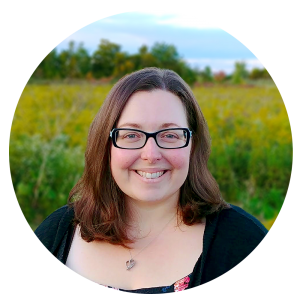 Welcome to my brand new blog! 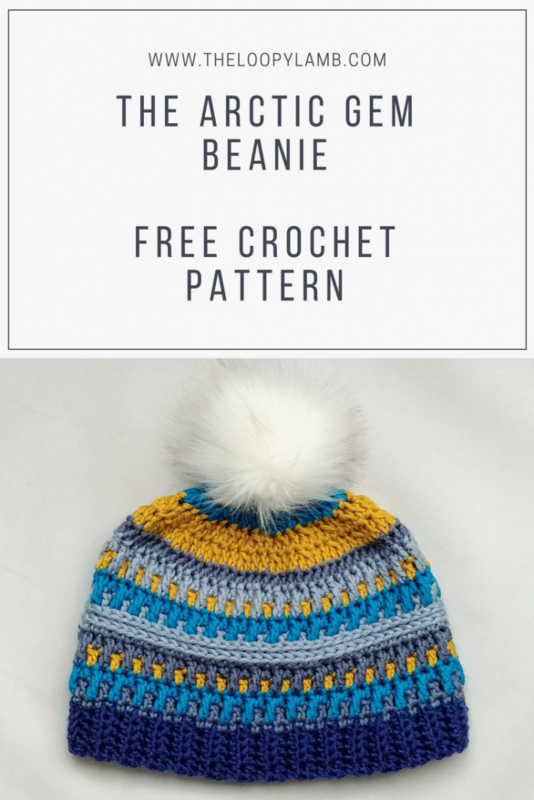 To celebrate my first blog post, I’ve included my first free crochet hat pattern: the Arctic Gem Beanie below, but first, I’d like to take a moment to introduce myself and tell you a bit about the yarn I used to create this pattern. My name is Ashley. I am a mother of two, a wife, crochet addict and crafter. I have a wonderful family whom I love spending time with, that is incredibly supportive of me and my many artistic projects. When I’m not spending time with my family, I have a crochet hook in my hand. Crochet is not only a way for me to be creative, it is a way for me to destress and unwind. I love creating new patterns and I have created this blog in order to share my free crochet patterns and other creative endeavors with the online crafting community. I am a yarn hoarder…there… I said it. I love yarn just as much as I love crochet. My son, at only 3 years old, knew where the “yarn store” was and why I went there. 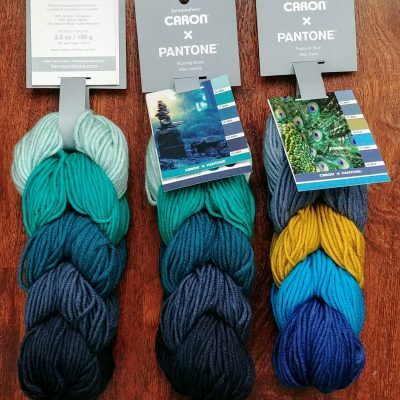 So when I got an email from Yarnspirations letting me know about their brand new yarn Caron x Pantone, I was very excited. I packed up the kiddos and raced over to Michaels to see it (and touch it) for myself. Apparently I wasn’t the only one excited to get their hands on this yarn. 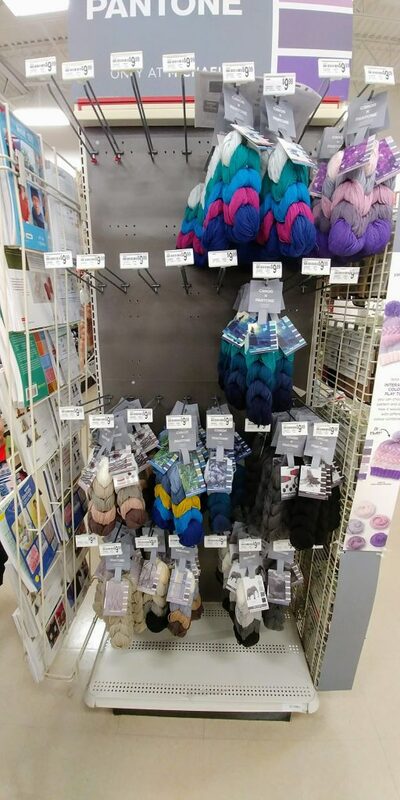 Below is a picture of what my local Michaels store’s display of Caron x Pantone yarn looked like 45 minutes after opening on launch day. I loved the braided look and the bold colours choices. Each braid is made of little hanks braided together. The Caron x Pantone yarn is a bulky weight yarn that’s a blend of merino wool, nylon and acrylic. One braid is 3.5oz/100g/ and 127 yards/116 metres. I picked up a few braids and made my way to the cash…well, it wasn’t meant to be because I forgot my wallet at home! Gah! So I left disappointed but I was able to head back later that day and get what I wanted. I was inspired immediately by the Morning Blues and Peacock palettes so I got two of each and headed home. Once at home, it was nap time for the kiddos so after tucking them in, I quickly got to work. My vision for the Peacock braids was a striped beanie with a fur pompom. 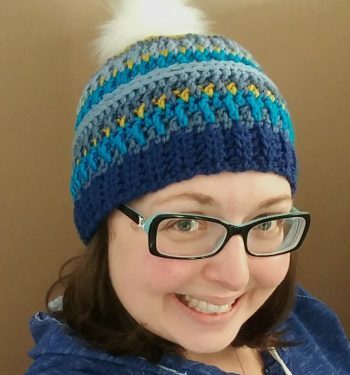 I was nervous that one braid may not be enough to create an adult-sized hat but I challenged myself to create a hat pattern to match my vision with only one skein. With my 6mm in hand, strong coffee in my cup and my handy dandy notebook next to me, I set to work. The Caron x Pantone yarn was wonderful to work with. Soft and squishy with just the right amount of stretch. I was pleasantly surprised and am already planning a second project using this yarn. This hat feels great when you put it on because the yarn is wonderfully soft and silky. I will say that there isn’t a lot of yardage to a single ball so if you aren’t inclined to check your gauge before starting a project, you may need a second braid to ensure you have enough to complete this hat. Before we get on to the pattern, I just wanted to thank you for taking the time to stop by and reading my blog. Please share my blog, pin this on Pinterest and come back soon for more free patterns. An ad-free version of this pattern can be purchased here. Finished size: 8.5 inches tall x 9.5 inches wide. 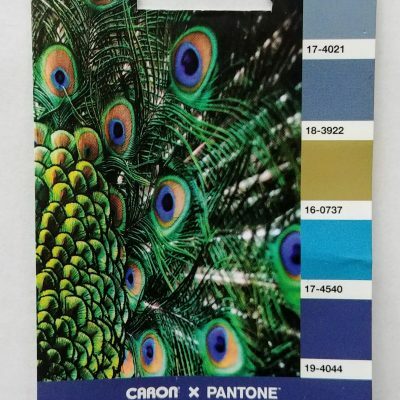 I’ve used the Pantone numbers on the packaging to note which colour is used and my description of the colour next to the Pantone number for those that may no longer have the packaging. A picture of the tag has been included here (below) for your reference as well. After the brim is completed, the body of the hat is worked in the round from the bottom up. The end of each round is joined with a sl st. Instructions within the ** are to be repeated. Repeat row two until your band is approximately 18.5” long. You can make the band a little shorter or longer than that if you need to. Generally, a good length for a band for an adult is between 18” – 19″: long when laid flat. Do not stretch. When completed, fold the band in half and sl st the two sides together. Turn the piece so the seam is on the inside and the right side is facing you. Row 3: CH 2. HDC in the first stitch. TR in the skipped stitch from the first row directly below the CH space. *HDC in the next stitch, TR in the next skipped stitch from the row below* until end. Join with sl st. (72 sts). Row 12: CH 2. HDC in first stitch and in each stitch around. Join with a sl st. (72 sts). FO and weave in ends. Add a pompom and you’re all done. I’d love to see your finished items! Please share your finished makes by tagging the pattern on Ravelry, sharing it to our Facebook page or Instagram! Thanks for checking out my blog. Come back soon! Thanks for this free pattern Ashley. Lovely & very inspiring. While I didn’t get the opportunity to hit Michael’s on launch day or anytime last week while the yarn was on sale, at least I know what to look for when I do get there. Unfortunately, I relied on Michael’s online shopping/pick up instore to order but only one store within a 20 mile radius showed one color in stock. Unfortunately I’ve learned that one can’t depend on the stock availability list so I will definitely pay a visit ASAP. Again, thanks & I’ll be looking for more designs from you! You’re welcome Peg! Thanks for leaving a comment! I’m so sorry to hear that you’ve had issues getting this yarn and I hope you can get some soon. The Michaels in Canada doesn’t have online ordering or shipping yet which is kind of a good thing or else I would REALLY have a yarn problem lol. I want to get started! I picked up the purple pops colors. But I want to make thisfor my toddler’s winter hat… is there an easy part I. The pattern to adjust that? I see! Thanks so much. I’ll try that. I’m doing the adult pattern now—on row 11, should the TR be on the back loop only? It seems like it should after looking at your finished hat. Just wondering. Thanks! Sorry, not back loop only, I meant 3rd loop! I’m sorry to hear you ran out before finishing. If you match gauge exactly, you should have just enough to finish the hat with a small bit of yarn left over. I’ve been told by others that have completed the hat that some of them have gone down a hook size and were able to complete the hat with only a small amount of scraps. I love this hat and thank you for sharing the information about Caron’s “new” yarn! I’m planning on heading to Michaels tomorrow so I can get started on the hat! Can you share your source for the pom pom please? These are the pompoms I’m using: https://amzn.to/2pk1KYc. I’ve used the packages of popular mixed colours and white pompoms with great results. I’m working on this hat but had a few questions about the pattern; specifically how to work the end of a round and the technique when switching to a new color. When pattern says “join with a slip stitch” can you explain exactly which stitch to make the slip stitch in? Also should I fasten off at this point or incorporate the new color into the slip stitch and continue new round? Hope you understand my question(s). I love the hat you created and can’t wait to finish mine as I have 2 more Caron X Pantone skeins to work with after I finish this hat! Thanks. You should be joining to the first stitch of the round with a slip stitch. When I switch my colours, I do so before joining. On the last stitch of the round (before the required colour change), before you do your final yarn over for the required stitch, I change to the new colour, yarn over with the new colour and pull through my stitch. 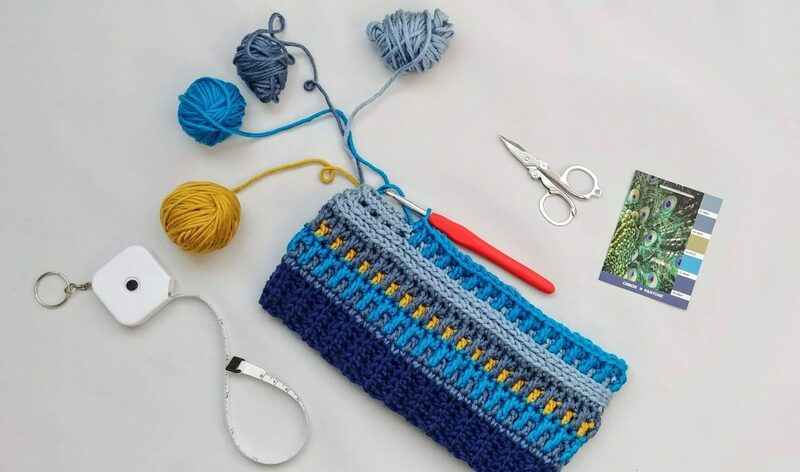 So if your last stitch of the round is a DC, you would yarn over, insert your hook into the last stitch, yarn over in current colour, pull through the stitch, yarn over in current colour and pull through first two loops on your hook. Yarn over in your new colour and pull through the last two hooks on your stitch. Do your slip stitch into the first stitch of the round and proceed with the next row. Thanks Ashley, I’m sitting down this morning and will follow your instructions! Hi! Are you using US or UK terms? Your pattern is so cute! It’s so much more detailed than any of the patterns Caron has come up with. Congratulations on your new blog! Hi Elizabeth, Thank you so much! My patterns are written in US terms. Will try with my trusty H ! Thank you so much for the pattern – it’s gorgeous! And very easy to understand.